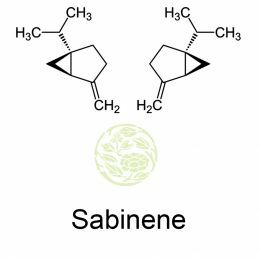 Sabinene is a bicyclic monoterpene which is seen in many plants like the Norway spruce, black pepper and myristica fragrans which is an evergreen native to the Spice Islands, Moluccas. The seeds of Myristica fragrans are most important source for nutmeg in the world. Sabene exists as +(positive) and – (negative) enantiomers. The chemical formula of Sabinene is C10H16 and molecular weight is 136.2340. The other names of Sabinene are 1-Isopropyl-4-methylenebicyclo [3.1.0] hexane; 4(10)-Thujene; Sabinen; Sabinene; (+)-Sabinene; THUJENE, 4(10)-; NSC 407278; Sabinene (β-Thujene); 4-thujene; 1-isopropyl-4-methylenebicyclo [3.1.0] hexane (sabinene); thuj-4(10)-ene. 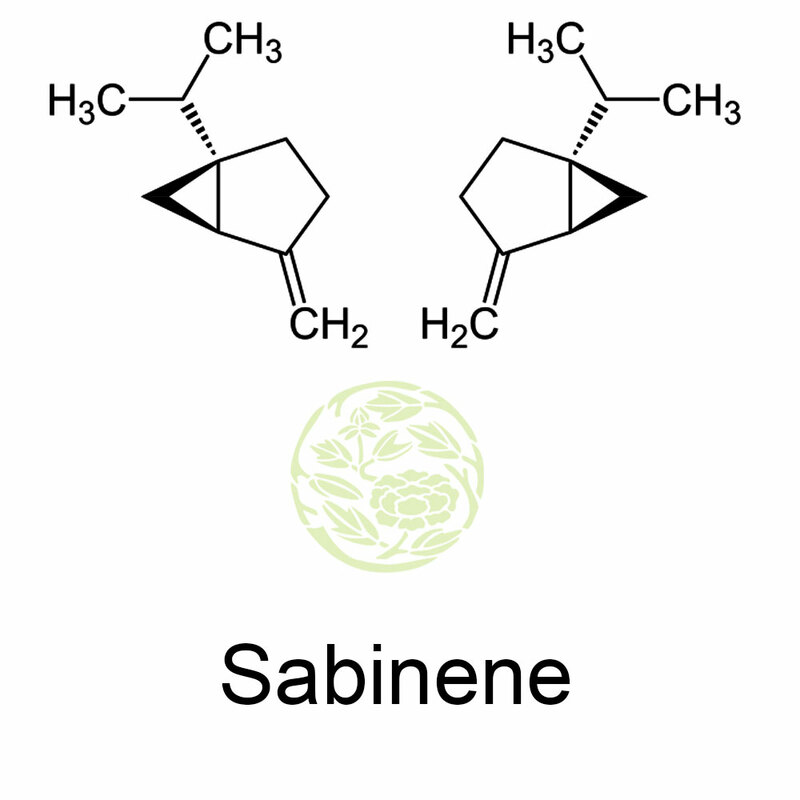 Sabinene is accrued limitedly in natural organisms and is tried and experimented as a possible constituent for the next generation of aircraft fuels. Sicentist all over the world are trying to develop biosysthetic routes for the production of Sabinene from renewable sugar. This terpene has a large and varied class of organic compounds. Terpenes are resultant from head to tail condensation of dimethylallyl pyrophosphate (DMAPP) and isopentenyl pyrophosphate (IPP), and traditionally used in flavorings, fragrances; medicines and fine chemicals which have the potentials to serve as advanced bio-fuel predecessor. The studies in metabolic engineering and synthetic biology enhance the engineering of microbes to make advanced bio-fuels. Advanced fuel has become popular all over the world and with the demand rising high terpene based advance fuels attract more people all over the world. Terepens are mainly produced by a variety of plants and are also generated from the common precursors, IPP and DMAPP, which can be produced from the methylerythritol 4-phosphate (MEP) pathway or the mevalonate (MVA) pathway.